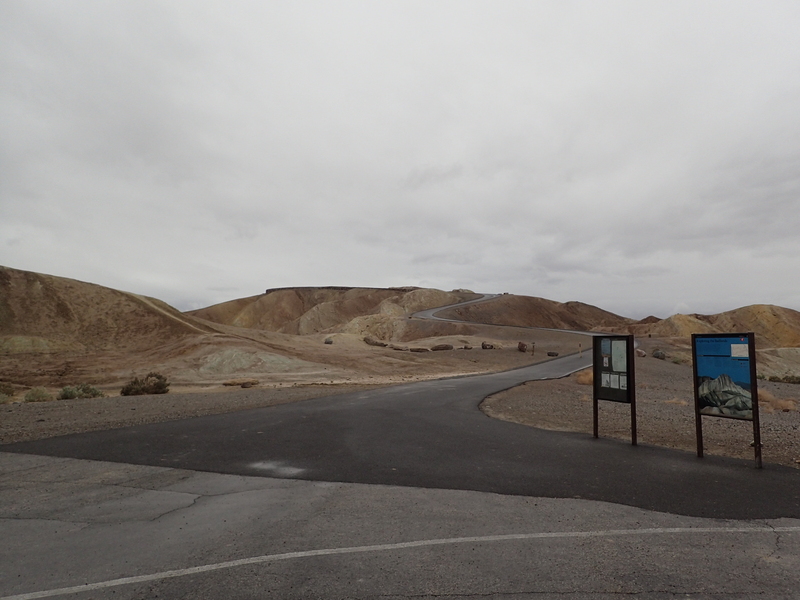 Unfortunately for us there was a big change in weather following our beautiful day in Palmer Canyon, but we weren’t going to let a little rain stop us from enjoying what Death Valley had to offer. I mean it IS Death Valley after all right? So, with the weather in mind we decided to spend the day checking out some of the more touristy stops right off of the main park road. 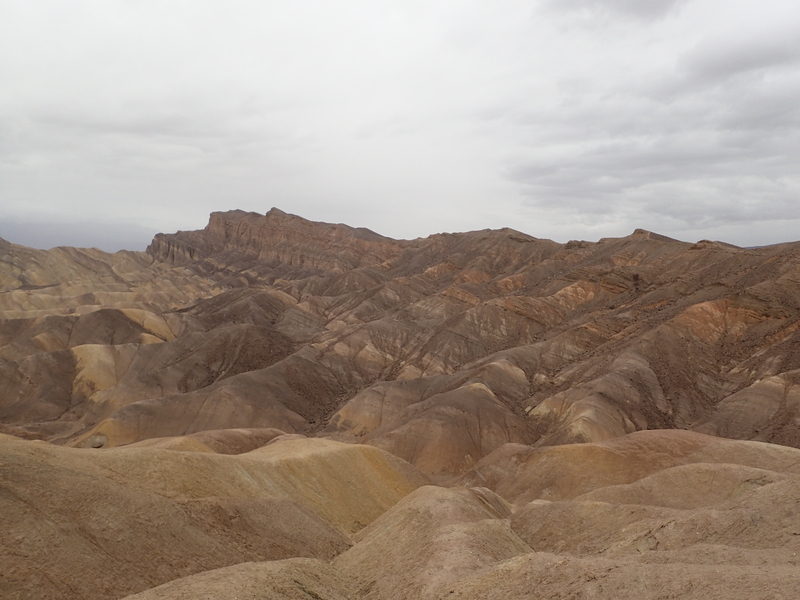 Our first stop was a quick one to check out a spot known as Zabriskie Point. It is a nice little spot right off the road with a paved path leading up to a look out over a pretty unique and very Death Valley type of view. 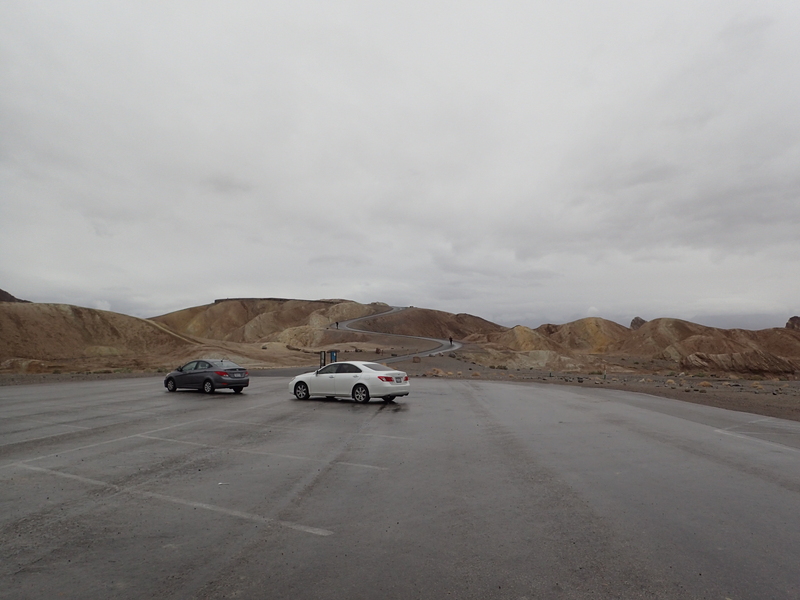 View of the Zabriskie Point parking area. View of the paved path leading to the lookout. 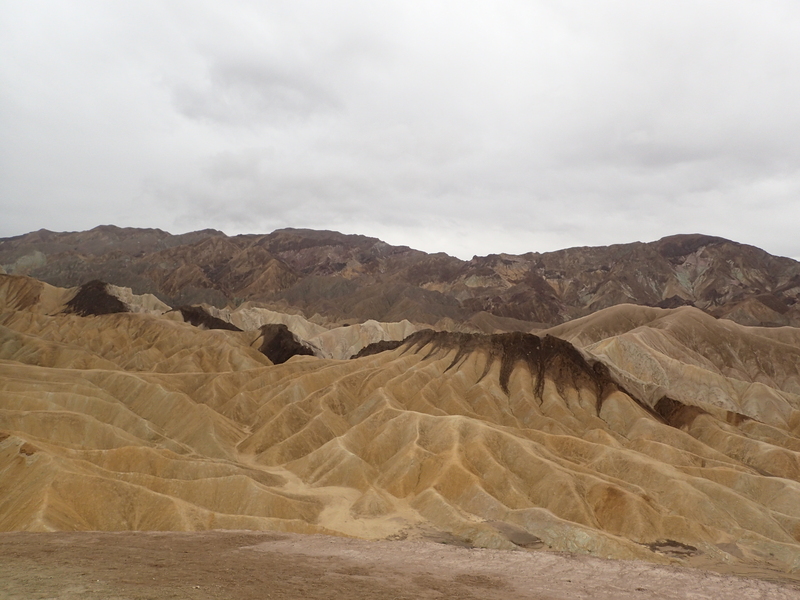 Zabriskie Point is most noted for its dramatically eroded landscape. It is composed of sediments from Furnace Creek Lake, which dried up 5 million years ago—long before Death Valley came into existence. There are a couple of feint trails leading away from the lookout and into the landscape beyond but we didn’t take any time to explore them. The rain was still coming down pretty well at this point with a driving wind so we decided to just move on to the next spot and wait out a predicted shift in the weather later in the day. View of Manly Beacon in the distance. 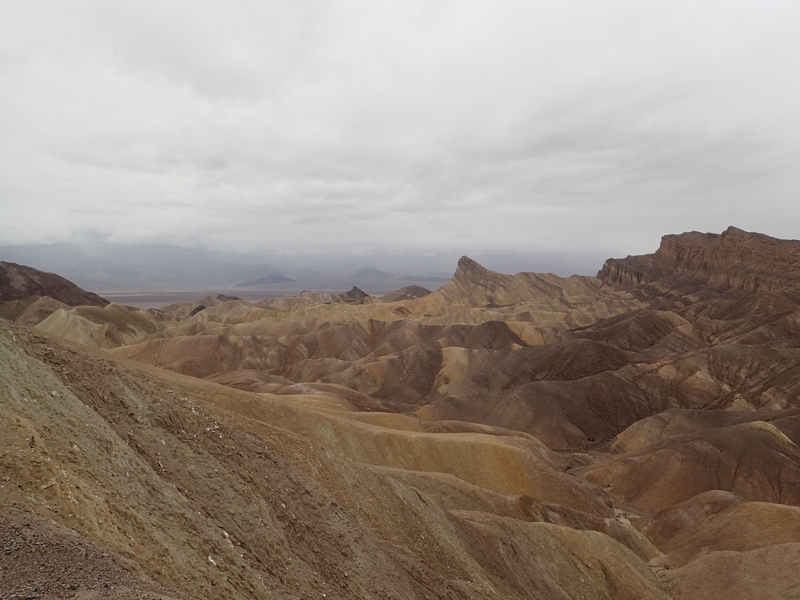 View of Red Cathedral from Zabriskie Point. View of the interesting eroded landscape.